Cross training is the kind of training that we’ve seen rise in popularity over the last decade or so – it involves using a variety of different training methodologies. In traditional Strength and Conditioning, it refers to training several sports in order to improve fitness for an athlete’s main sport. However, for the recreational gym-goer who is mostly concerned with health, fitness and body composition, cross training is a full style of training in its own right. After all, if you’re not training for one particular sport, then health and fitness is the goal: cross training aligns well with your aims. 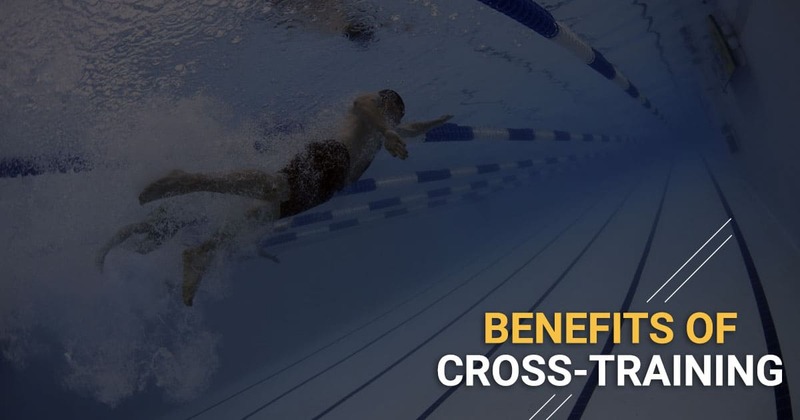 Popularised by CrossFit and an increased social media presence of the training of certain high-profile athletes, cross training is now an essential part of the fitness industry. In this article, we’ll discuss the benefits of cross training, how it stacks up with other forms of exercise and how to structure it to get the best results. The main benefit of cross training is the access it gives us to a wider selection of training methodologies, improving the number of options in our “toolkit”. If you want to develop agility and speed, different sports offer different methods which all have their own unique benefits and drawbacks. For those who are simply interested in health and fitness, this is a great way to make training varied, enjoyable and effective without specialising in any one sport. The appeal of cross training is the diversity of exercise selection and protocol, which can be stale or boring in some other forms of training. Variety is at the core of cross training and is responsible for the number of people who enjoy training in this style. The enjoyment of training is something that cross training really has in its favour: mixing up training methodologies and performing novel exercises is fun – something that will keep people motivated and engaged. If the goal is to get the general population active and healthy, this is a very easy “sell” – we believe that most people perceive the gym to be a chore, which is why they fail to attend consistently and ultimately fail their goals. If cross training is more enjoyable, it will improve consistency for many people which will inevitably lead to better results. Variation also reduces the chance that we will accommodate exercise: too much of the same exercise and the same rep/set scheme will reduce the body’s response to training. Cross training is almost always based on HIIT or HIT – high intensity interval training or high-intensity training. HIIT is when we perform short bursts of intense exercises, punctuated by lower-intensity exercise – some studies have shown that this is superior to other forms of endurance exercise for fat loss and aerobic fitness. High intensity training is performing relatively-small amounts of exercise at a high psychological intensity. Basically, HIT is putting maximum effort into a short space of time to achieve as much as possible. This is an excellent way to develop fitness in a short space of time – something that is essential for those who are on a tight schedule and may only have an hour to perform strength and conditioning workouts. The multiple methodologies used in cross training should be taken cautiously. Whilst they may increase the overall range of options in our fitness toolkit, they can also over-complicate the training process and dilute training effect. This is why cross training for athletes is managed by a coach and generally restricted to off-season training, when the athletes don’t need to test their performance in their main sport. For the fitness enthusiast who simply wants to lose weight and improve fitness, this is totally fine, but it should be remembered that if your main goal is performance in one area of training (strength, power, endurance etc. ), cross training may not be the best use of your time. The reason that multiple methodologies isn’t ideal for improving one particular aspect of fitness is because variety (as discussed above) is contrasted with specificity. Specificity is how similar our movements are to the thing that we are testing or competing in. For example, the best way to improve the number of Kilograms we can lift in the back squat is to train the back squat and other, closely-related movements. Whilst sprinting and cycling may improve back squat performance for the novice, they are not the best way to do so and it is important to balance variety with specificity. When cross training, it is important to consider what your goals are and how much of your time should be dedicated to your main goals and how much time should be dedicated to general fitness (unless general fitness is your main goal). We mentioned above that HIIT is one of the main benefits of cross training, but it is important to remember that it is not the only form of HIIT. If we are looking to compare traditional HIIT (for example, sprint intervals) with cross training, we have to consider what our goals are and how they relate. 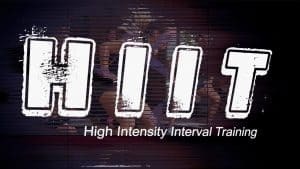 HIIT is a great way to improve fitness and there won’t be huge differences between the different styles of HIIT for those who are aiming at fitness. However, HIIT is not specific to cross training and if there is a particular style of HIIT that relates to your main goals, it may be wiser to focus on that, rather than cross training. Again, other forms of HIIT and HIT can be structured to fit a tight schedule, meaning that what is best for your goals depends on what you want to be good at. It would be unfair of us to discuss the advantages and disadvantages of cross training without giving you some way to adapt your training and structure it for maximum results. The problems above have many solutions, but we want to discuss how to balance them to improve your own training and make them work for you. Variety and specificity are competing principles. You have to have the right amount of both: too much variety and you won’t make fast enough progress, too much specificity and you’ll stagnate. Our favourite approach is to look at specificity as two principles: motor specificity and energy specificity. Motor specificity is simply how similar an exercise is to your main goals, based on the movements it requires (for example, how similar a lunge is to a squat). Energy specificity is simply using the same energy pathways that your goals use: if you’re going for maximal strength, marathon running isn’t the best use of your time. For athletes and those who have one particular goal in mind (such as a strong squat, bench press, vertical jump, etc.) it is important to maintain high levels of motor specificity. You should perform a lot of movements that are similar to your goal movement – this is particularly true of competitive athletes, but less important for general fitness. Energy specificity is essential for athletes and fitness enthusiasts: you should structure the majority of your training towards the kind of performance you want to excel at. If you’re a marathon runner, the majority of your training should focus on aerobic exercises for high durations, whereas an Olympic weightlifter should generally focus on high-power, short duration exercises. This might mean focusing on long-distance running, cycling and rowing for the marathoner but sprint intervals for the weightlifter – the combinations are endless! Variation vs specificity is a fairly simple solution in most cases. Do what matters to you most: the majority of your workouts should be tailored towards your goal in some way. Its ok to be general, especially for health and fitness, but cross training should be a mixture of the things you need to get good at and the things that are fun and build general fitness. Variation is more important to avoid stagnation than it is to improve performance consistently, and we shouldn’t worry about “variety for the sake of variety” – it might be the spice of life but it doesn’t improve your performance by itself. Some common sense is appropriate here, but it should definitely be a staple of your training. Training is based on opportunity cost: you have to consider all the alternatives, and HIIT is no different. Medium-length circuits based on your weaknesses and your time schedule are a fantastic way to optimise health and fitness whether you’re an athlete or simply looking to get into shape. Training can be a complicated business, but in this article we’ve preached some moderation in most areas. For the general fitness enthusiast, cross training is a great choice but it is not the only choice, nor the only great choice. Workouts are all based on opportunity cost and t is important to always keep your goals in mind, whether you are an athlete or a recreational gym-goer. We strongly recommend including some HIIT into your training regardless, focusing on energy specificity and developing the areas you might otherwise not enjoy: core work, for example, is much less of a chore if its performed as quickly as possible between other exercises. Training for the general population should be fun and the best approach to fitness is usually the one that is going to make you consistently work hard.